Beltane magic comes in many forms. I enjoyed a quiet moment yester morn at the nature preserve, sharing a sunrise with this great blue heron. For a moment I felt we shared a circle, he fishing for his breakfast in the loop of water in the slough, and I on walkabout from the dancing circle up the way. 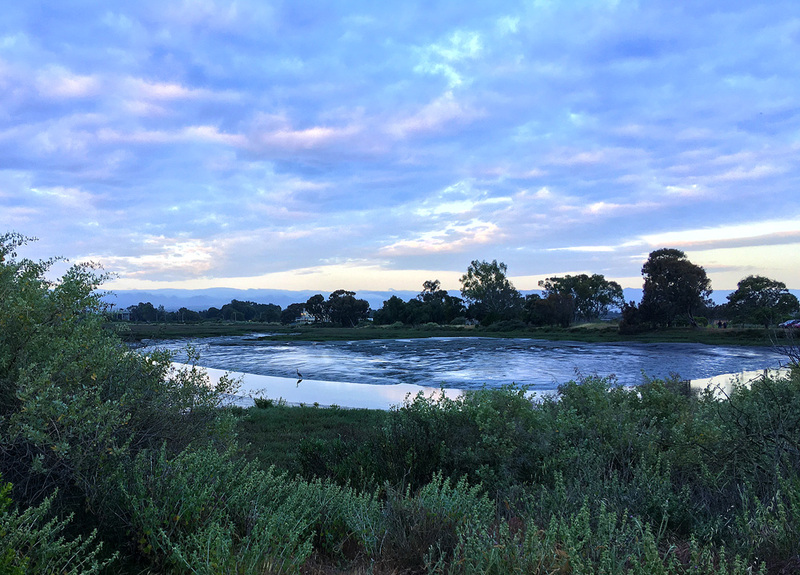 May Day morning, our family rises at dark o’clock and rolls up the road to be part of a small gathering at the Baylands, to sing and dance up the sun, and celebrate the coming of the summer. We have been doing this for lo! these many years, fifteen? twenty? and though there may be some years when the elders among us are loathe to leave our warm beds, the young ones pull us from our pillows and we are never sorry. It is amazing to wait in the murky light until the horn dancers approach quietly, accompanied by a simple tune squeezed out of an accordion, to perform the centuries-old dance of sympathetic magic for the season. Then the set dances begin, slowly at first, then gathering energy and speed. We rise to meet them, and when hands are stretched toward us to join the dance, it is hard to resist. But alas, not all are able to keep up. I may have danced the round at some time in the distant past, before orthopedic surgeries and emergencies taught me to content myself with the sidelines. Why this year did I think I could join in and skip from side to side, fast? In only a few steps, I fell, hard. The Gravity Goddess said, sorry, but no. I am lucky, lucky, that I am still intact and only sore all over, bruised bodywide. I do know better; I do know I have trouble staying grounded when I’ve had only a few hours sleep, when I am stretched thin by obligations, when I am giddy with excitement, and most of all, it seems, when the door to other worlds swings wide during sabbat-times. They are not called liminal times for nothing; the membrane between this world and another, between the daily and the extraordinary, between the living and the dead, is thin at these times. This is not the first fall I have experienced at May Day; Samhain and Winter Solstice seem to also be risky times for me. I have spent years learning how to ground my flighty self but this is an old, old pattern. More than one childhood photo shows me with twinkling feet, not planted on the ground like my sister’s but every which way, twisting, rocking, aloft. I was called a klutz from the time I was small. This year I had occasion to find my inner graceful girl again, and am glad to have her in my heart. But I am safer dancing by myself. Much as I want to join the circle of dancers, I can participate in the holy season just fine by keeping time in my own private circle. Safety above all. 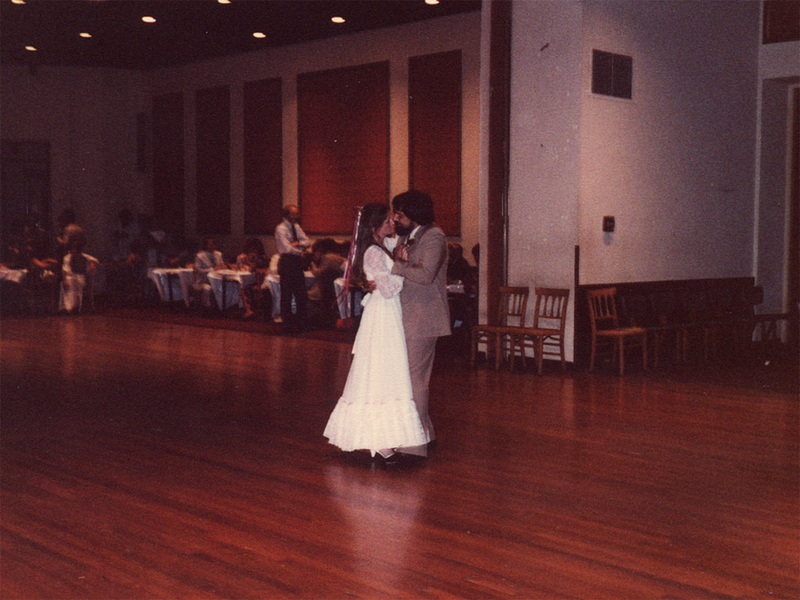 Today is my 37th wedding anniversary, and this is the holy dance for me. Today is the heart of how I welcome the May, with a man who has always held me close, and never called me a klutz. When we married, we weren’t all that clear on the holiness of the time, but we knew that May Day was something special. It was only as the years passed that we learned just how right we were to choose the time of the great Sacred Marriage for our own. So, again, I rest and refresh. My beloved said to me last night, you will heal, I have watched you do it many times. Mother may I . . . join the dance? Yes, child, you may dance your own circle. But take care, your heart is young but your body is aging and has been through much. Keep your feet firmly on the ground, and in this way you can soar to your heart’s content. Postscript: Thanks to my friend John over at Convivio Book of Days, this delightful music offering came my way. A song for Walpurgis Nacht, or May Eve, it is very stirring, gets the blood up, and the Swedes surely know how to celebrate the return of the warmth and the light! The summer she will be here soon! Happy wedding anniversary, you crazy kids! Inside you are dancing. Love this post. Blessings of Bealtain on you both. Lovely story, lovely writing, lovely music. “Gård” can mean ‘house’, ‘farm’, ‘yard’, ‘ranch’ etc. I interpret this as an expression similar to “in good times and in bad”. Love the words, the music & the magic shared, bumps & all! Thanks you my dearest love for your lovely wordsmithing and for nearly four decades of being my soul mate here in this amazing experience called life. Blessed be. How perfect that you were married on this day. Happy anniversary and Happy May. And I do want to give proper credit where it is due: I knew nothing of the “Maj vare välkommen” song until Convivio Book of Days reader Leonard Seastone shared it with us in the comments one May Eve, perhaps last year or the year before. I love when we learn from each other! Also, your observations about the dance remind me a lot of the Shakers, who took the derogatory name that people of the world spoke gave them (due to their frenzied prayerful whirling and dancing) and made it their own. The dancing eventually fell out of their worship as it was getting difficult for the older sisters and brothers. When I was at the Sabbathday Lake Community in Maine for one of my printing internships in the late 1990s, a series of contemporary artists were also there that first summer for a project called “Quiet in the Land.” One of them, Jeannine, took a video recorder and went into the old Meeting House and began filming. The film begins quietly––the beautiful ceiling with the original blueberry milk paint from the 1700s, the benches, the wide plank floor… and then she starts spinning as she’s filming. Faster and faster, whirling us around as she whirls, too, until eventually she (and we) drop to the floor. All we see next is whatever the camera is focused on where she dropped and all we hear is Jeannine as she catches her breath. Something about that film really moved me. Like witnessing that whirling gift as it descended upon her in that sacred space and flew. Sunrise with a heron — what a perfect companion. And such lovely music!